This standard specifies the WirelessMAN-Advanced Air Interface, including the medium access control layer (MAC) and physical layer (PHY), of a broadband wireless access (BWA) system supporting multiple services. The WirelessMAN-Advanced Air Interface supports the International Telecommunication Union (ITU)'s IMT-Advanced requirements. This standard enables rapid worldwide deployment of innovative, cost-effective, and interoperable multivendor broadband wireless access products, facilitates competition in broadband access by providing alternatives to wireline broadband access, encourages consistent worldwide spectrum allocation, and accelerates the commercialization of broadband wireless access systems. 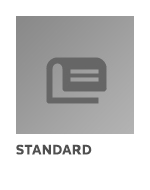 The standard serves as a basis for IMT-Advanced recommendations within the ITU.